On June 3, The Young Patrons Circle of the American Friends of the Louvre held its annual benefit, raising restoration funds for the most famous Museum in the world. The event lasted throughout the evening beginning at the Upper East Side Dalva Brothers Gallery where attendees viewed works that belonged to famous French citizens such as Marie Antoinette. 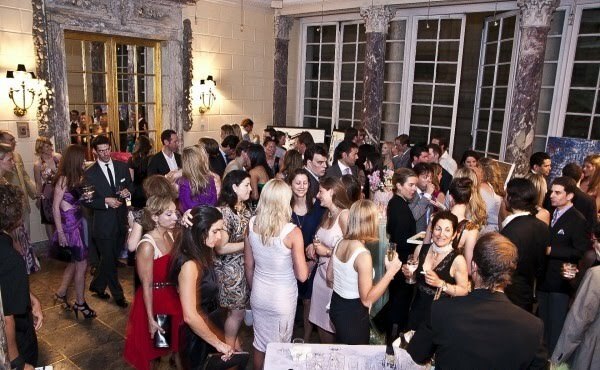 Afterwords, the party continued at the French Embassy on 5th Avenue over looking Central Park. Sponsored by hip Matthew Williamson, the guest list matched the trendy fashion maven with attendees such as Annabel Vartanian and Sabine Heller sporting frocks by the designer.